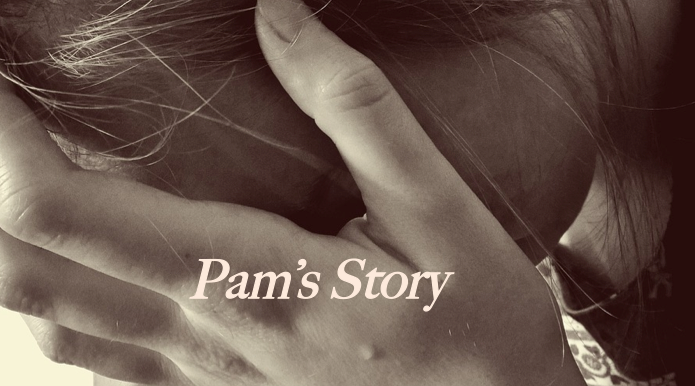 Pam was a young, trusting seeker who now has many regrets about her long spiritual journey in the NAR-influenced churches she attended. She has allowed me to include her story in this series about a movement called the New Apostolic Reformation, or NAR for short. In this series, I want to take readers beyond the textbook What is the New Apostolic Reformation Movement explanation, into the personal experiences from those who have been there, and what happened when God opened their eyes to the truth. My name is Pam. I have been a Christian since I was 17 when I asked God to forgive me of my sins, repented and accepted Jesus as my Savior. I am now 60. When I look back on things now I sometimes think what a wasted life I led being in this type of church. I was going to a Church of Christ church when I was saved and the preacher taught sound doctrine. But I had an aunt who did not like this church and she talked me into going to a church that her family was going to. Since I was close to my cousin I went. I did not know it was a Word of Faith, charismatic church as I had no experience with that. I was 19 when I started to go to this church. They taught Kenneth Hagin’s and Kenneth Copeland’s heresies, but it sounded good to me at that age – and why wouldn’t God want to bless me? So I started going. I was told I had to be baptized in the Spirit with evidence of speaking in tongues, so again I just blindly went along because why would my aunt take me to a church that was not biblical? I was always talking positive even when things were obviously not going well, but that was my fault for not having “enough” faith, according to the pastor. If I just lived better and confessed more I could name it and claim it. I had to “bind the devil” for my prosperity and health, etc. The deeper I got into this thinking, the more that things did not go my way. I had to try to get God to see my faith. On and on it went. I was getting confused and starting to question things. When I went to the pastor I was told the usual, “you do not have enough faith,” or, “Satan is testing you,” and, “you have to bind Satan and get in the spirit more.” By the way this was in 1976, so this teaching was in the church at that time. In 1981, I thought finally I found a good church to go to, but again it was Word of Faith teaching by Hagin, Copeland, Savelle, and that whole crowd. I joined a ladies Bible study and got involved with doing things for God, which I now know was dominion teaching. At the ladies group the leader would say, “let us just open our minds to Jesus and let Him love on us,” then everyone would just sit there praying, swaying, and sighing that Jesus was “holding them.” Everyone had smiles on their faces as I just sat there not feeling a thing and asking God what was wrong with me because I did not feel anything. Of course I was told it was me that was the problem. I was not spiritual enough. The leader would tell stories of all the angels she was seeing, and others spoke prophecies over others in the group. I marveled at why I did not see these things or speak these things, but I think God was protecting me from things because I was earnestly seeking Him. One day I asked the leader if I could teach, and she gave me the floor. I spoke from the Scriptures about sin and getting sin out of our lives and being justified through the blood of Jesus, and to seek after Jesus. It was a powerful message, and I think God lead me to preach this out of Scripture. I was told by the ladies I was too harsh and not to come back until I repented. That was it for me. I left and never went back. This happened in 1982. Since then I have searched for a good Bible preaching church. We went to several but none seemed to fit. I will not go into any more detail but will say that in the last two years I cried out to God to help me find the truth. I found one article that lead me to others, and now I know what I have come out of; a form of NAR church, social justice, and more. Let me tell you it really messed up my head! God is showing Himself to me through His Word, and the peace that I have now is true. Even in trying times I know He is there. The relief I have that I do not have to work for salvation but it is a free gift. I know this story is long but I wanted you to know that this way teaching and way of thinking about God can mess you up for years. By the way the one who saw angels in my group eventually went off the deep end and had to go to a psych ward for months. Another lady left the church and her husband and child. Such tragedy from wrong teachings. I am still married to my husband for 40 years, but I pray for my children because I exposed them to this teaching. I ask God to open their eyes to His Truth. Thanks for listening to me and I am living in His Grace through Jesus my Lord.